WILD NW Action Alert #280: Take action to ensure a timber sale in important wildlife habitat is subject to robust environmental and public review. The Colville National Forest is soliciting public comments on a timber sale in the Kettle River Range in northeast Washington called the Trout Lake Insect and Disease Restoration Project. Please submit a comment to ensure this project is subject to robust environmental and public review! Located on the east slopes of the Kettle Range in a federally designated restoration landscape, the project area abuts the remarkable Hoodoo Roadless Area (a prime candidate for wilderness designation), contains deer and elk winter range and provides important Canada lynx habitat. 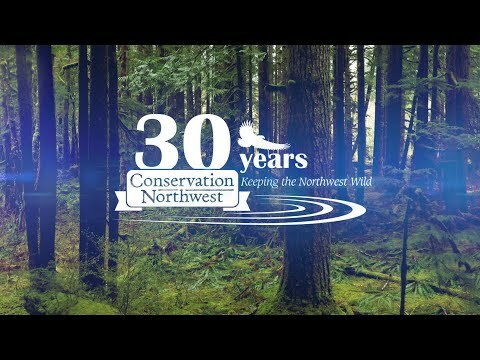 The Colville National Forest is proposing to log as many as 3,000 acres of forest here without careful and thoughtful evaluation of landscape conditions, or project design and development with the Northeast Washington Forestry Coalition (a local forest collaborative we’re part of). This time, the Forest has put the cart before the horse, proposing extensive logging before considering which actions make the most sense or which will be most effective. What’s worse, they plan to exclude public and environmental review in order to blindly rush this massive logging project. That’s a terrible idea. The Trout Lake Restoration Project contains high tree species diversity, a long and sordid history of fire suppression and logging that have transformed stand and landscape structure and composition, and important wildlife habitat. Please submit a comment for this important part of the Colville National Forest. Our suggested comments are also copied below. Landscape Evaluations are scientifically rigorous, data-driven, logically ordered processes that diagnose restoration needs within a watershed. They are the first step for identifying and prioritizing actions that will be effective in restoring stand and landscape conditions to be resilient to natural disturbances. Because of the scale and complexity of the project, and importance of getting it right, the Forest should conduct a rigorous environmental and public review. Without an Environmental Assessment and Landscape Evaluation, there is little certainty that the project will result in positive ecological restoration outcomes or have support from the public and community. You can help ensure that one happens using our one click form! Full details on this proposed project are also available here. I’m writing to provide scoping comments for the Trout Lake Insect and Disease Restoration Project. This project is proposed for the east flanks of the Kettle Range, and is subject to federal policy requiring that logging projects be developed with the Northeast Washington Forestry Coalition, informed by landscape evaluation, and aligned with the Colville National Forest’s restoration plan. Yet, inexplicably, the Forest has ignored these requirements and instead is attempting to categorically exclude the project from environmental and public review. This is an ill-conceived, controversial, and unjust approach, and must be rejected. The project area, located on the edge of the Colville National Forest, contains 100-year-old forests with a broad diversity of tree species. Although some areas were clear-cut in the past, it provides quality wildlife habitat including core habitat for Canada lynx. It contains a complexity of forest conditions, ranging from sub-alpine fir to western red cedar, that have been subject to decades of fire suppression and logging. As such, actions to restore ecological resilience of stand and landscape conditions require careful, thoughtful, and transparent consideration. It’s very concerning that the Forest has opted to avoid developing and designing this project with the local collaborative group (NEWFC), informed by the best science from empirically-based, spatially explicit landscape evaluation, and subject to full environmental analysis. Not only are these required actions, but sound practice for ensuring ecological and social outcomes will be achieved. I request that the Forest complete a landscape evaluation to identify areas that have departed from historic conditions so the spatial arrangement of forest conditions can be effectively restored. The Forest must engage the Northeast Washington Forestry Coalition to develop and design actions based on the landscape evaluation to maximize old-growth and large trees, and restore ecological resilience. Once these actions have been identified with NEWFC, the project must be evaluated in a full environmental analysis with robust public review.